← Kessel Run Millennium Falcon 50% Off At HTS' eBay Store! 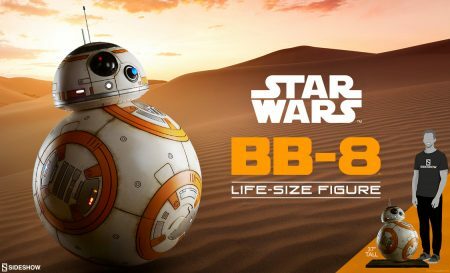 Tonight’s Visual Guide update takes a look at the repacked Walmart exclusive BB-8 12-Inch figure from the Star Wars [Solo] line. Click below to check out the full Visual Guide. Make sure to also revisit the review for this figure right here. We have our last Visual Guide update for the year, featuring Poe’s Boosted X-wing Fighter from the Star Wars [The Last Jedi] line. Just in time for the new year (and hopefully new product), this update very nearly completes our Star Wars [The Last Jedi] Visual Guide, with just one more item to go. Click below to have a look at this guide, and click here if you want to check out our full review of this set. ← LAST CHANCE: 12 DAYS Of JTA ENDS 24 HOURS FROM NOW! Let’s check out Poe’s Boosted X-wing Fighter. Did you know it’s different than the first version besides the Force Link technology? 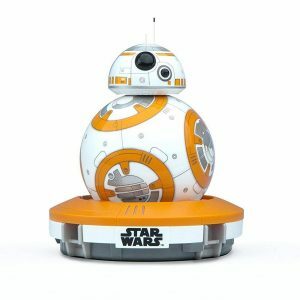 Learn more about this Toys R Us exclusive in our Research Droids Reviews today! Be sure to leave your thoughts in our comments section, vote in the poll or even comment about it on our Facebook page. Click the banner below for the direct link to the review! As always, you can also send your review requests via email if you’d like to see something that we didn’t cover yet. 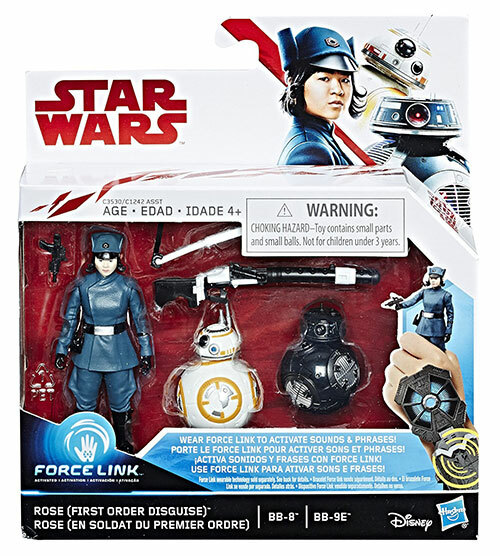 It’s time to add the Target exclusive 12-Inch Figure 6-Pack from the Star Wars [The Last Jedi] line to our Visual Guides. Click below to have a look at this set in its entirety. You can also read our full review of this set, featuring extended galleries, stats, and more. 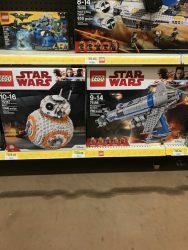 It’s probably safe to assume that there is going to be a six-pack of 12-Inch Figures for every new Star Wars film coming out. 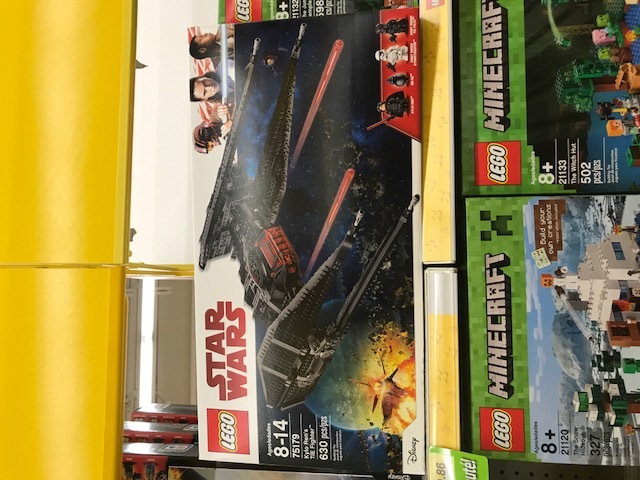 The TARGET exclusive BB-8/Captain Poe Dameron/Rey (Jedi Training)/First Order Stormtrooper Executioner/Kylo Ren/First Order Stormtrooper Squad Leader set serves a purpose, but there is a lot of repetition here. Leanr more about it in our Research Droids Reviews today! Be sure to leave your own thoughts in our comments section, vote in the poll or even leave comments about it on our Facebook page. Click the banner below for the direct link to the review! As always, you can also send your own personal review requests via email if you’d like to see something that we didn’t cover yet. 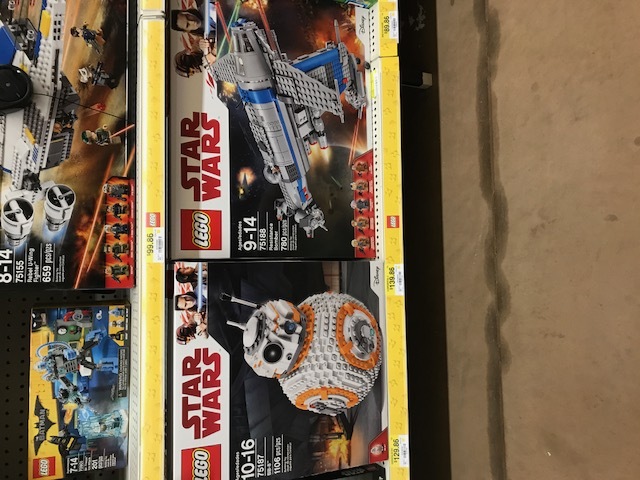 The best part of the Rose (First Order Disguise)/BB-8/BB-9E Two-Packs set is the Force Link. Find out why this is the case in our Research Droids Reviews today! Be sure to leave your own thoughts in our comments section, vote in the poll or even leave comments about it on our Facebook page. Click the banner below for the direct link to the review! As always, you can also send your own personal review requests via email if you’d like to see something that we didn’t cover yet. We have a sneak peek for you tonight of the latest wave of Two-Packs sets. Interestingly, one of them this time is a three-pack. 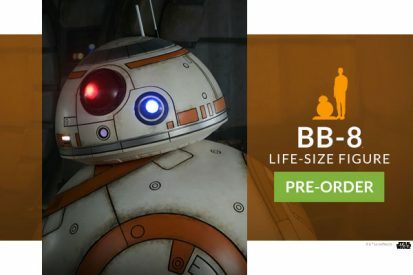 The Rose (First Order Disguise)/BB-8/BB-9E set is about as average as they come. The new sculpt of Rose is nice, but the deco is not great. The BB units are all-new sculpts as well, and they look about average. But their Force Link sound effects are divine. You can tell them apart too. 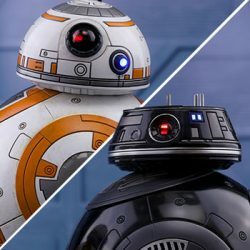 BB-8 is more high-pitched, and BB-9E is mostly lower tones. It’s like they communicate by farting. It’s great. (The Disney Parks versions are infinitely better. We’ve added comparison pictures for you to see for yourselves.) 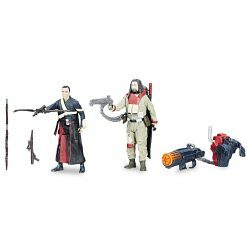 The Chirrut Imwe/Baze Malbus is a pure joy if you’re a fan of the film. Chirrut finally gets his bowcaster rifle and says one-half of his immortal line from the film. Hasbro goofed by not completing it with Force Link. (We’re quite disappointed by this.) Baze Malbus is more of the same, but it’s cool to have him talk this time. Anyway, click the thumbnails below to check out the Photo Gallery and Collector Notes for each review now. Full reviews start tomorrow! 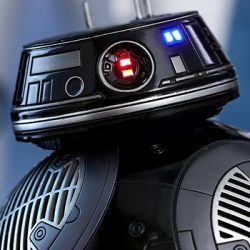 ShopDisney.com Free Shipping Sitewide Today! Today only you can get Free Shipping sitewide at ShopDisney.com with promo FREESHIP. 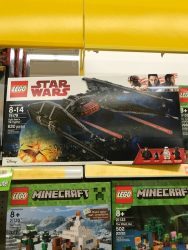 They have the Chirrut and Baze Force Link 2-pack and the Rose, BB-8, and BB-9E in stock at $15 each. 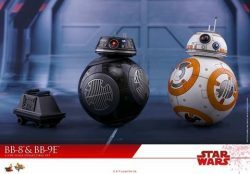 Be sure to check out the other Star Wars items they have on sale. 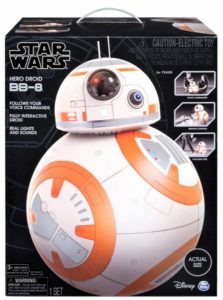 Tonight’s Visual Guide update features the BB-Series 4-pack from Disney’s Droid Factory line. Click below the check out this set. Make sure to also read about these droids in our full review. 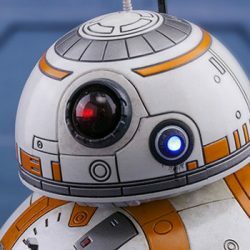 JTA reader Richard F. has found the previously announced life-size BB-8 remote control figure. Made by Spin Master, it retails for $229.99. This sample was found at Toys R Us. UPDATE: This product was incorrectly identified as life-size. It isn’t. Thank you. 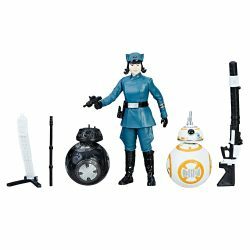 Amazon.com has the new The Last Jedi Force Link 3-pack available for pre-order, featuring Rose (First Order Disguise), BB-8, and BB-9E. It’s due to ship December 15. Click here to pre-order.